Welcome to Marble & Stone Cleaning & Polishing. We can handle all of your marble, granite, travertine and other natural stone cleaning and sealing needs! Our natural stone cleaning can correct most of the everyday problems that mar the beauty of your natural stone. Marble & Stone Cleaning & Polishing can apply gentle honing techniques to your natural stone surfaces to remove scratches, etches and wear marks. Following our honing process and a thorough rinse, we bring back the original shine to your treated stone surfaces. One or more coats of our special sealant are then applied and buffed. This helps to protect against future staining. 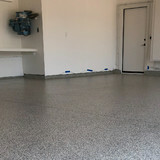 Foot traffic, scratches, stains and moisture, acid, alkaline as well as improper maintenance procedures can mar the beauty of your natural stone floors. While at home cleaning is important, professional cleaning and sealing maintenance is essential. Natural stone maintenance helps to retain its impressive beauty and save you money on replacement costs in the future. Prolong the life and beauty of your natural stone floors by calling Marble & Stone Cleaning & Polishing today! 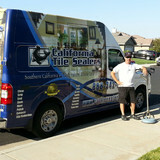 StoneKleaner is a division of Cal Coast Carpet & Natural Stone Care. 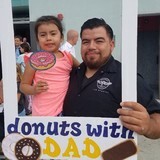 Frank Ruvalcaba the owner- operator and president of Cal Coast Carpet & Natural Stone Care & StoneKleaner has been in the floor restoration & maintenance business for 15 yrs and is a licensed California Contractor (C-54). Frank also holds certifications as a marble & stone inspector, also for substrate & sub-floor inspections, stone, tile, & masonry care tech. 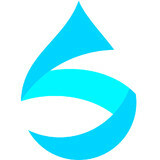 & water damage restoration. All StoneKleaner staff are uniformed, courteous professionals. We pay attention to details, especially to your cherished home. We use corner guards on wall corners, & plastic where necessary to prevent any splatter to your walls as much as humanly possible. Restoration is a very messy job. We use truck mounted steam extraction for sucking up & rinsing slurry that is created when working with stone. All the slurry goes into a recovery tank in our StoneKleaner vans. Natural stone requires professional stone cleaning, not just the occasional mop and bucket. The porous materials that stone, such as marble, slate and travertine, is composed of needs special tools and knowledge to properly clean and preserve its natural beauty. Improve the look and overall health of your home by hiring a Mead Valley stone cleaner to come in and professionally deep clean your floors, counters and more. 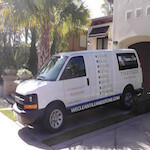 What can I expect from a professional stone cleaner in Mead Valley, CA? Find a Mead Valley natural stone cleaner on Houzz. Narrow your search in the Professionals section of the website to local stone cleaners in Mead Valley, CA and read reviews and ratings to find one that fits your needs.